Lagos – A recent survey report carried out by a Non-governmental Organisation in Nigeria has revealed that the Police Force is the most corrupt public institution in Nigeria for the past five years. According to the report among the 100 respondents in a survey carried out, 70% of those who interacted with Police in the last 12-months preceding the survey paid a bribe. This revelation was made at the launch of the latest report by socio-economic Rights in Nigeria (SERAP), titled “Nigeria’s Corruption Assessment Performance Survey” held in Lagos. Other institutions the survey focused on includes: Power, Judiciary, Education and the Health services. While Police topped the rank on the indicator with 60%, the power sector followed by 50%, and the Judiciary, Education and Health Services followed suit. The research carried out by Mr Mwangi Kibathi, Abosede and Sheila Musungu, however recommend that the Federal Government should establish an independent commission of inquiry with subpoena power to conduct a transparent, comprehensive and impartial investigation into systemic corruption within the Nigeria Police Force and Judiciary as well as the Ministries of power , Education and Health. The researchers also recommend that the National Assembly be more proactive in the fight against corruption by passing the proceeds of Crime bill, the whistle-blowers Bills and Witness protection Bill among others. SERAP in the report also recommends that the Police should streamline and priorities internal control mechanism by establishing an ethinc and integrity Unit at each police station. 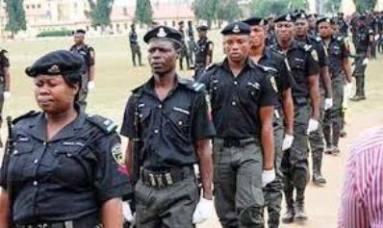 Police are also enjoyed to receive and investigate complaints of bribery and corruption against police officers filed by members of the public. The report further recommends that the Chief Justice of Nigeria and the National Judicial Council should identify and review all outstanding cases of judicial corruption and refer such cases to appreciate anti-corruption agencies. The survey targeted a total of 2,655 respondents selected from seven states spread across the six geo-political zones of Nigeria and the capital city of Abuja. The sample was proportionate to population size across these zones.